Nintendo has announced a new event called Nintendo Live which will host official tournaments such as Super Smash Bros. Ultimate Premium Fight, Splatoon 2 Koshien 2019, Mario Tennis Aces Japan Open 2018, and ARMS Japan Grand Prix 2018. 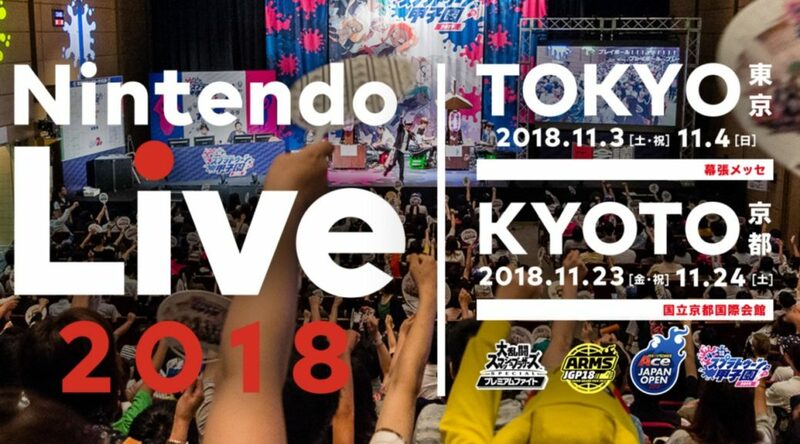 Nintendo Live 2018 will be held at Tokyo’s Messe Hall (Hall 4) on November 3 and November 4 from 9am to 7pm (last entry 6pm), and at Kyoto International Conference Center (annex hall / new hall) on November 23 and November 24 from 9am to 7pm (last entry 7pm). Registrations for Nintendo Live (audience) are now open at the official website. Registrations close October 9, 2018 9:59am JST.